This sweeping, evocative, and absolutely unforgettable novel about the charismatic and passionate Axie Muldoon who changed the lives of countless women was inspired by a real midwife who became one of the most controversial figures in Victorian New York City. Set in gritty New York City in the last half of the nineteenth century, My Notorious Life is a vibrant portrait of Axie Muldoon, a plucky orphan who becomes one of the most successful—and controversial—midwives of her time. Told in a magnetic voice, pulsing and vivid, Axie recounts how she is separated from her mother and siblings, apprenticed to a doctor and midwife, and how she later parlays the sale of a few bottles of “lunar tonic for female complaints” into a thriving midwifery practice with her husband and fellow orphan friend, Charles G. Jones. But Axie is on a collision course with one of the most zealous, censorious characters of her era: Anthony Comstock, founder of the Society for the Suppression of Vice, and it will take all of Axie’s power to outwit him and save both herself and her family from ruin. 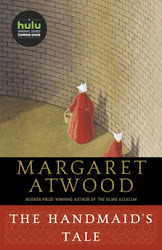 A love story, a family saga, and a brilliant rendering of a historical time, this is also a moving and nuanced commentary on an important topic: women’s control of their bodies. But ultimately, it is the story of one woman making her indomitable way in a difficult world; with her fierce and vibrant spirit, Axie Muldoon is an indelible heroine for the ages. Waiting on Wednesday: My Notorious Life was originally published by Catherine for bookclublibrarian.com. This post cannot be republished without attribution.